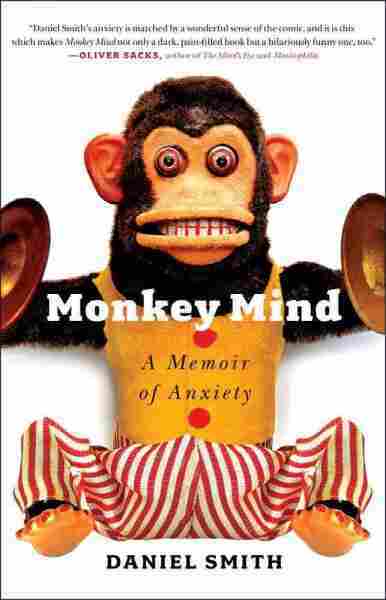 'Monkey Mind': When Debilitating Anxiety Takes Over Daniel Smith suffers from the kind of debilitating anxiety that brings on panic attacks, bouts of insomnia and thoughts about "existential ruin." In his new memoir Monkey Mind, Smith documents his experience coping with the disorder and how the condition has affected his relationships. There's a lot to be anxious about — an upcoming job interview, a first date or perhaps a big presentation at work. For some, anxiety can be much more than just sweaty palms and quivering hands. It can be a debilitating condition with severe physical and mental effects. The Anxiety and Depression Association of America estimates that nearly 40 million American adults suffer from a wide range of anxiety disorders — from acute nervousness and increased heart rate to full-on panic attacks. In his new book Monkey Mind, Daniel Smith documents his experiences with a kind of anxiety that results in panic attacks, bouts of insomnia and thoughts of "existential ruin." He talks with NPR's John Donvan about the many layers of his condition and how he has learned to live with it. "It was like being thrown into the mouth of a volcano, at least that's what it felt like. I had been dropped off at school, and all of a sudden ... there was just an explosion of panic. I've thought a lot about it ever since, and I suspect that a lot of my fellow students were experiencing the same exact thing. "But all of a sudden a college student, a freshman in his undergraduate or her undergraduate years, is faced with freedom for the first time, the ability to make choices. ... We are supposed to like freedom, but freedom is also a very frightening and painful thing. Freedom means that you can make a mistake. Freedom means that you have obligations and responsibilities. ... And so that first experience of college, that first flush of freedom, a lot of people feel deeply anxious. "At the same time, unfortunately, it's confusing because you're also experiencing the opposite of freedom. You're used to having, if you're lucky, your own room, and you're with your family, and now all of a sudden you're thrown in a room with strangers, and you have to shower in communal showers and go to the bathroom next to people and brush your teeth next to each other. And there's this necessity to act like you're cool and calm and you have it all together while at the same time dealing with these complex emotions. So it's like this perfect recipe for anxiety." 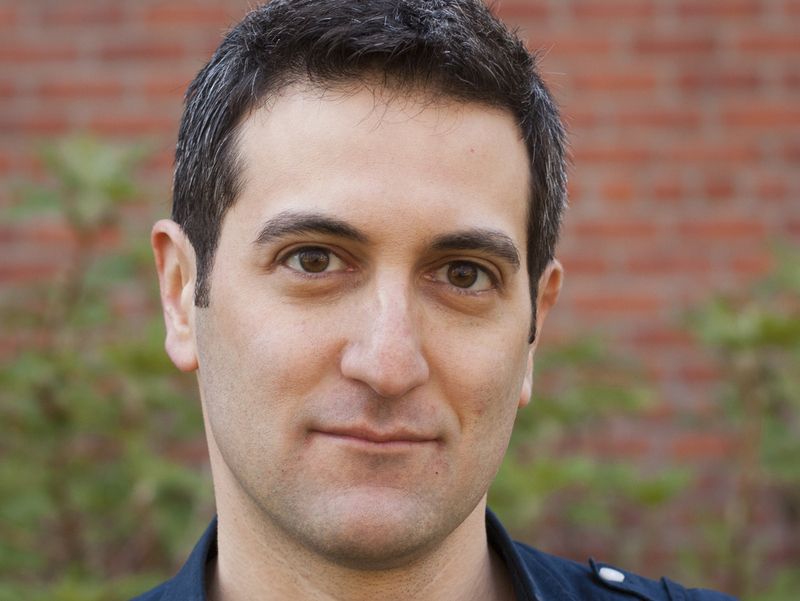 Author and journalist Daniel Smith teaches English at the College of New Rochelle in New York. "The traditional view of fear and anxiety going back to Freud — and perhaps before — is that fear is a primitive alarm in response to a present danger. So fear is located in the present, whereas anxiety is a state of nervous vigilance that's oriented toward the future, some threat to your well-being that's located in the future. "And yet anxiety is so expansive, it affects the entire system. It affects you physiologically, it affects you cognitively, it affects you emotionally. It's a real holistic — not to put too nice and calm a word on it — emotion." "This therapist, whose name was Brian, was a cognitive behavior therapist. I didn't know that at the time, I didn't know it until years later, but this was the first thing that helped me. And it's very similar to meditative practices, in the respect that it teaches you to be aware of your own thoughts and to put them into words. And this helped enormously. "And the reason it helped enormously is because it taught me that I have a certain habit of mind. My anxiety came from years, years, probably from simply from who I am, from my own temperament, of talking to myself in a fearful and anxiety-producing manner, and that if I wanted to be less anxious, I had to foster better habits of mind. "It is absolutely doable, but it's something that you have to do constantly. I don't think that one can fully recover from anxiety, [and] I'm not even sure that's desirable. Anxiety is a part of who we are; it's a universal emotion. But it is doable that you can carve out a new way of thinking for yourself, and you could foster better habits of mind."